Third bird. That’s the term author Daniel Pink uses, in his book When, for folks who aren’t by nature larks (morning people) or owls (night people). Having taken the analysis he recommends for determining where one nests on that feathery continuum, I was a little surprised to find myself perched in the third bird category. I’ve always thought I followed in my mother’s footsteps as the very definition of a night owl. (Henceforth I will simply say “owl”; “night owl” is as redundant as “hot water heater.”) I like the quiet and warm enfolding that night affords and, with it, opportunities for reading, writing, musing, perusing, working, breathing during sweet moments when one’s cell phone is under control (as in, OFF), and a large percentage of the population is comfortably tucked in and unconscious. On the fairly rare occasions I’ve tested early mornings—I’m doing that right now, but they don’t come as naturally to me—I’ve found that they provide some of the same benefits as late evenings and have their own good flavor. Just let me ease into light and volume. I can make coffee just fine in the dark, and my mouth is where it’s always been. The computer screen’s brightness needs to be throttled down. I wish its key-clicking could be muted. And, please, let’s put off speech until coffee does its work and the sun follows suit. Mom was not a morning person; I wonder now who it was who used to wake us up singing the old and always obnoxious “Good Morning to You” song with its line about “all in our places with sunshiny faces.” Ouch. Third birds like me evidently can go a bit either way, though I’ll definitely morph more toward midnight than morning. Just mind the light, please. But I’m writing early this morning. 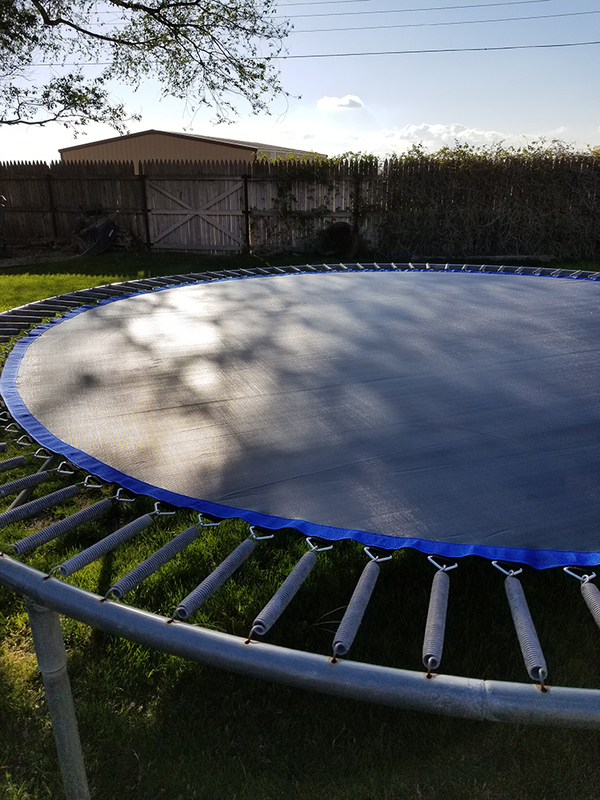 I blame the trampoline. My back, which was awake before the rest of me, thinks I spent too much time testing a new mat yesterday afternoon. The old mat served long and well. Four sons did their best to work it out. One Great Dane spent a little time on it but found it hard on his hip. That mat was shaving cream-stained from grandkid fun days complete with water, sprinklers, “silly string,” water balloons, etc. And it had lots of mileage on it as a launching pad for jumping and giggling grandkids on the back of a winged unicorn or about to be eaten by a hungry orc. The aforementioned unicorn/orc recently put his foot (rapidly) through what was a small tear in the mat. Hence, new mat. Hence, time testing new mat. Hence, up early this morning. The lawyer litter tag on the new mat says it needs to be used with mature supervision. My wife read that and said I don’t count. Scripture says that God’s mercies are “new every morning.” My back will be fine. 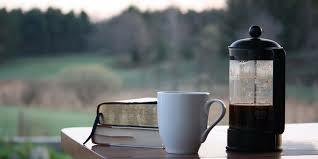 The coffee is on board, and I don’t at all mind admitting that on this early morning, the Creator of each new day has blessed me with some sweet memories. I’m ready to make some more! I just need a nap first.